LankaWeb – මුතුරාජවෙලට කුණු නොදමන්නැයි අතුරුතහනම් නියෝගයක්‌ ඉල්ලයි ගොනුකළ පෙත්සම සලකා බැලීම 20 වැනිදා News Item………. මුතුරාජවෙලට කුණු නොදමන්නැයි අතුරුතහනම් නියෝගයක්‌ ඉල්ලයි ගොනුකළ පෙත්සම සලකා බැලීම 20 වැනිදා News Item………. 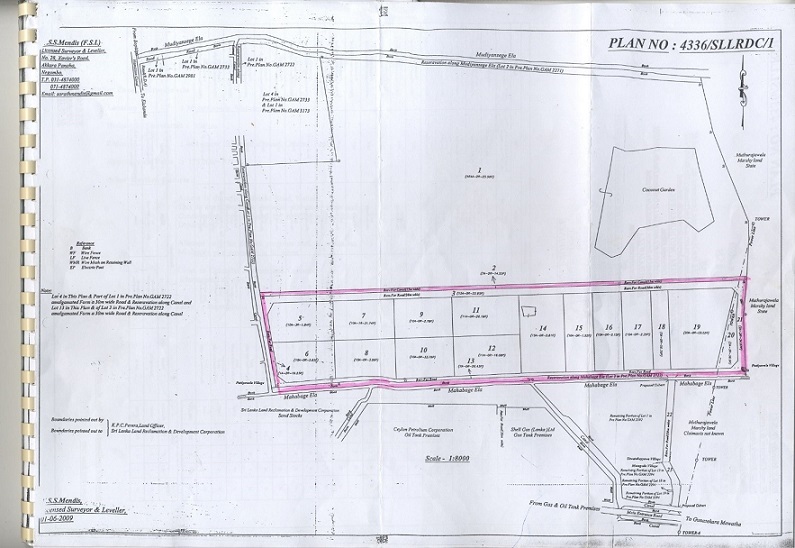 All the stranded garbage should be transported to the 200 acre land in Muthurajawela .which is cleared by CEA for reclamation using Sea SandImmediate action should be taken to use all the machinery available in SLLRDC and fill 2-3 acres of existing marsh to fill about 1-2 feet with sea sand lying in MuthurajawelaGarbage Lorries can have access to the filled area and dump the garbage on part filled land ,simultaneously and immediately covered with Sea sand.Excavators should dredged a wider peripheral canal isolating the dumpsiteTo solve the problem of transportation may be caused by the people along the route . Access to Muthurajawela site is only via Gunasekera Mawatha from Negombo –Colombo Road which is quite narrow ,and the residents will start throwing stones to lorries .It happened earlier when containers were transported thru that road.Other access is via Alakanda Road along Hamilton Canal ,which is also quite narrow and another hail of stones may follow by residents as few hundred truck load carrying raw wet garbage will stink unless they are bailed and covered. 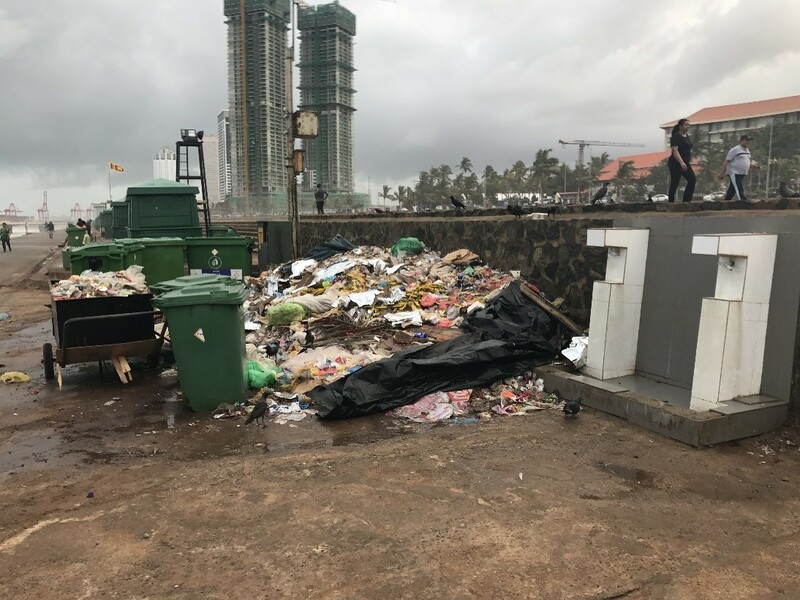 Today 6th June I saw that Galle Face is being cleared after HE passed the location yesterday .Port Management Services –a company under SLPA which takes scare of Galle Face were cleaning the garbage. 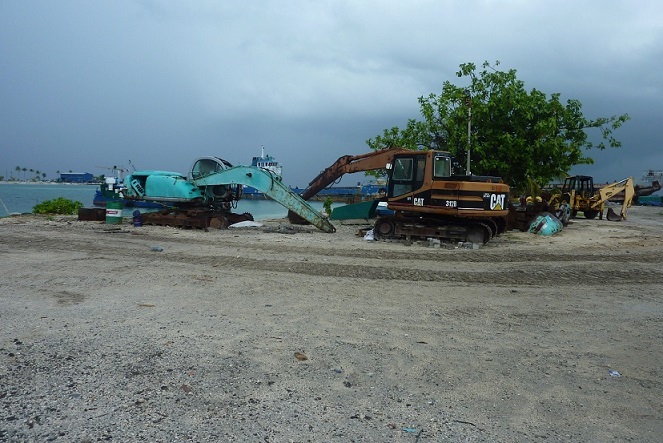 I asked the poor cleaners about on whose orders they are cleaning They said that Janadipathy Thuma methanin Giya Eeye ,eeta passe apita lokumahathuru Kiwwa H E passed by yesterday and their bosses told them to clean ! I wonder why HE has to get involved in this ? This entry was posted on Friday, June 16th, 2017. You can follow any responses to this entry through the RSS 2.0 feed. You can skip to the end and leave a response.